We’re back! The 2013-2014 school year is under way! The pitter patter of more than 350 pairs of feet (all sizes) was heard throughout the hallways as your children went to their classrooms. Their faces were bright with big smiles and a general feeling of excitement prevailed throughout the entire school building. Thank you for preparing them so well for a wonderful beginning to our school year. I look forward to working with the children, teachers and parents this year to meet exciting challenges and fulfill our shared goals for student growth. Our building looks beautiful, thanks to the monumental efforts of Mr. Geary, Mr. Enos & Mr. Kalitka. I would also like to thank Mrs. String for her work to insuring a smooth school opening. Many new members to our school community have asked? “What is the relevance of all of the hand’s that I see throughout the building?” Our motto continues to be “Hand & Hand Together We Can.” We believe that by collaboratively working together throughout the entire school community to ensure that the highest levels of student learning take place. Get Connected! This year is the year to go green! Our school website is a great resource. We hope that you will find the information that is posted on our website to be valuable to you and your children. I have shifted to utilizing electronic communications for all school related communications. Please check our site often as there are always things going on. The J. Turner Hood School is proud of the cooperative relationship that we have with our families and the community as a whole. We hope this website will be another way of us staying connected with all of you. Please be reminded that our website offers an up to date calendar of school activities. Please click on the School Events header in order to view a monthly school calendar. In order to increase communications from my office to the school community I have created a Principal’s Blog and the 180 Days of Learning Blog. These blogs can be accessed in the staff directory. Furthermore, many of our staff have taken the dive into the digital world. Our staff directory has been updated and provides links to many classroom websites where more information can be obtained. Please be advised that we as a faculty are also experimenting with Twitter. I have been “tweeting” pictures from and information about various school events. 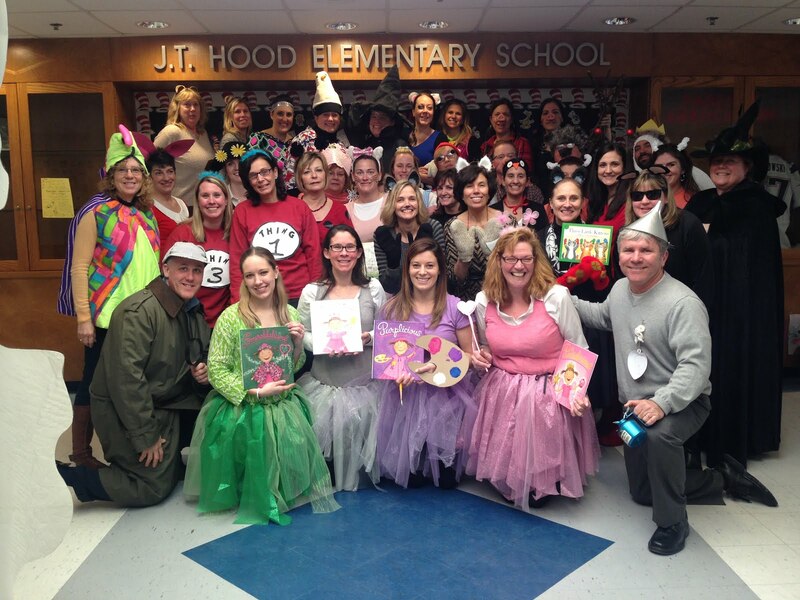 Please follow the Hood School on Twitter @jthoodelemen If you are not following us, you have missed almost 890 tweets. Staff of the Month- Just a reminder that the Staff of the Month nominations are located under the principal’s corner tab on the school website. Please feel free to complete that document. This will enable me to help recognize our staff for going above and beyond. A special thank you to our Hood School PA for all of their work this year. The Parent’s Association is a very important group that supports the J. Turner Hood School Community in many, many, unseen ways. THANK YOU!! !